Auxiliary relays play an important role in the protection system. But most of the time, they are overlooked, and not given much attention, mainly due to its relative size, and being overshadowed by the main relays. Auxiliary relay's main is just a relay that would trigger another relay or device to perform a specific action. It operates as response to signal given to them by opening or closing of its operating circuit. Hence it is called auxiliary. 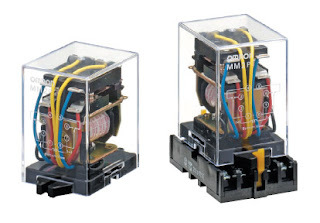 Auxiliary relays are used in protection system to provide isolation of primary and back-up relaying. This is to isolate them from unnecessary signals in the form of current especially during tripping. Auxiliary relays could also be used to provide ultra high speed circuit breaker tripping duty in protective relaying systems. It is well suitable for bus arrangements where more than one breaker must be tripped. Other information on auxiliary relays may be found on this site. Browse around and may these be helpful.